positively impact the lives of children and the communities we serve. 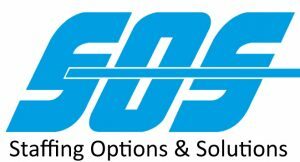 SOS was founded in 1994 as a spin-off from another company, co-owned by the current President of SOS, Diane Powers, M.A., CCC-SLP. Other founding principals included Vice-President, Sandy Burns, CRTT, Vice President, Ladonna Valier, PT and CFO, Greg Bohac, MBA. All principals will continue in their positions with the SSG except for Greg, who plans to happily retire in the upcoming months. Although SOS once worked in Rehab, today they are 100% school-based. SOS is located in Indianapolis, IN. SOS provides service in 12 states. SOS is natural fit to the SSG expanding our footprint in key states like Indiana, Illinois, Maryland, Virginia, North Carolina, California and Georgia. Through this partnership, SSG, now employs over 800 educational professionals and is one of the largest special education solutions companies in the country. We are extremely proud of what we have all been able to accomplish together, and look forward to continuing to be a desired place to work while making a true and profound difference. To learn more about all of our brands visit our family of special education companies here.